Jimmy Kimmel on the set of "Jimmy Kimmel Live" on Monday, September 18. The war of words over the future of health care in America is heating up and it has an unlikely figure leading the fight -- late night comedian Jimmy Kimmel. 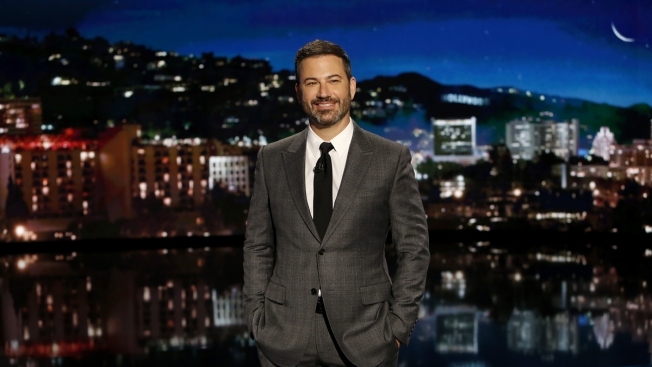 Kimmel, whose son was born with a congenital heart defect and needed multiple surgeries to survive, has often talked about health care during his late show monologues -- specifically pre-existing conditions. Sen. Bill Cassidy (R-LA) co-sponsors a new health care bill with Sen. Lindsay Graham (R-SC) that Republicans could pass as soon as next week. Kimmel gave an impassioned monologue on his show Tuesday saying Cassidy wasn't very honest when he recently appeared on his show to discuss a health care proposal to replace Obamacare. Kimmel said Cassidy said he wanted a plan that included coverage for all, no pre-existing conditions discrimination, lower premiums for the middle class and no lifetime caps. Kimmel said the Graham-Cassidy bill provided for none of that. See Kimmel's monologue below. The issue for Kimmel, whose insurance paid for his son's surgeries, is the concern that the new bill would leave some Americans with pre-existing conditions to fend for themselves if the Obamacare protections are removed. Cassidy said that isn't true and that there will be resources available to provide coverage and that they have included protections for pre-existing conditions. President Donald Trump tweeted that he would not sign the bill if it did not include coverage for pre-existing conditions while going on to call the Graham-Cassidy bill a "great bill." Does the Bill Really cover Pre-Existing Conditions or Not? It's not a simple 'yes' or 'no.' The plan does allow states to opt-out of covering pre-existing conditions, but they'd have to explain how they intend to keep those people covered. How Does This Bill Compare to Previous GOP Bills That Failed to Pass? This bill would get rid of unpopular Obamacare mandates to sign up for health insurance. Graham-Cassidy would increase how much money people can put in health savings accounts and allow them to use this money to pay their premiums. Premiums for older and disabled Americans would go up while Medicaid expansion would be cut. Also, cost-sharing subsidies would disappear by 2020. There are some key differences in this proposal. This bill gives states block grants to allocate to health care as they deem fit until 2026. The bill also caps Medicaid enrollment and funding -- which could affect millions of Americans. It also allows people 30 and older to sign up for catastrophic coverage plans with high deductibles and low premiums. U.S. Sen. John Cornyn (TX-R) said he supports the bill while U.S. Sen. Ted Cruz (TX-R) said he's not yet made up his mind about how he'll vote. A vote could happen as early as next week; Republicans need 50 votes for it to pass.